The material you choose for your shower wall has a major impact on the look and feel of your whole bathroom. It also makes a difference in how comfortable and relaxing your showers are. 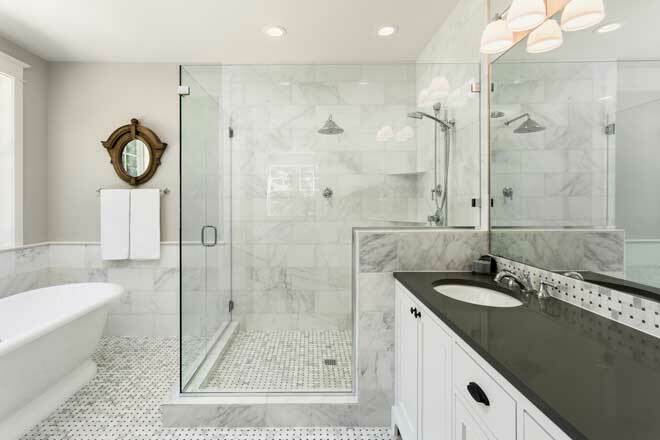 A prefabricated fiberglass and acrylic shower unit or stall is one of the most efficient, budget-friendly ways to get your shower built. The walls of these showers are built in a factory using molds and arrive at your home in one or more units. All that’s left to do is install the units. That can be done in hours, as opposed to the days it takes to install tile. They also leave less mess in your bathroom. Several types of prefab shower walls are available. Multiple-part shower kit – This consists of a set of components that fit together to create a smooth, watertight surface for your shower’s interior. The set usually includes a shower pan or bathtub, one or more pieces for the walls and, in some designs, doors. This type of unit is fairly easy for a do-it-yourself enthusiast to install. Wall kit – A prefab shower wall kit includes only wall pieces without the shower pan or bathtub and without doors. This is exceptionally easy to install by yourself, but you’ll still need to decide what material to use for the shower floor. One-piece unit – This shower is one complete unit. With fewer joints, this unit is less likely to develop mold and mildew than other prefab showers. On the other hand, it’s cumbersome to transport, many won’t fit through standard-sized doors. For this reason, they’re used primarily in new constructions. They’re difficult to install and must be installed by a professional. Fiberglass and acrylic shower units provide a modern, minimalist feel. Although white is by far the most common color available, you can find them in other colors with a little searching. It’s also possible to paint these units if you want to get a better match for your bathroom’s color scheme. While fiberglass and acrylic look nearly identical and have similar properties, there are some differences. Acrylic is less prone to scratching and carries an attractive gloss. Fiberglass is more likely to become scratched or faded, but it’s cheaper. 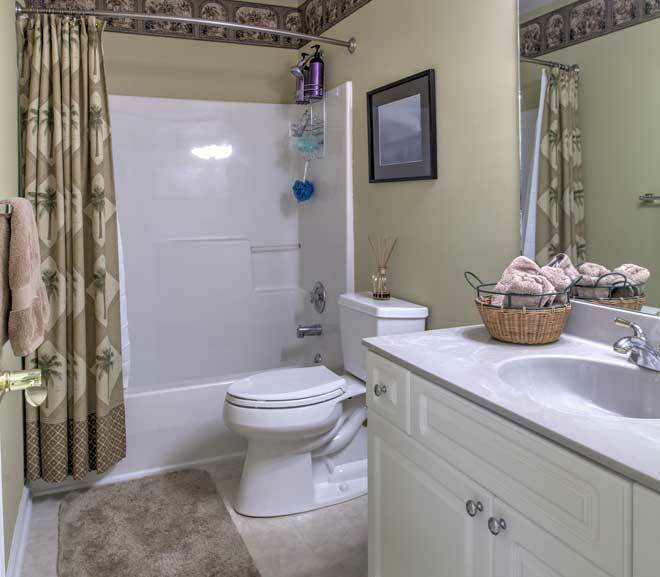 Maintained with care, however, a fiberglass shower can stay looking good for as long as an acrylic model. On the downside, both are more prone to yellowing and scratching than other shower wall materials, so they show their age faster. While holes and cracks can be patched, they’re not always invisible afterward. If you want to give your imagination free reign to create a unique shower that’s perfectly suited to the style of your bathroom, ceramic and porcelain tiles are your best options. These tiles come in a nearly endless array of sizes, colors, and textures, and can be mixed and matched for a one-of-a-kind design. If the idea of customizing your shower walls doesn’t appeal to you, though, you can keep things simple by tiling your shower with a single, neutral color. Although tile walls will cost you more than a prefab shower, tile has a more classic and upscale look, so it fits better in older homes and those with traditional decor schemes. On the practical side, tile is highly resistant to water and staining, and the grout between the tiles, as well as the tiles themselves, is easy to keep clean. That said, you’ll need to clean the grout regularly to prevent mildew from becoming established. Repairs are simple, too. If one tile becomes damaged or stained, just remove the tile and replace it. Although ceramic and porcelain are essentially the same material, they have somewhat different properties, so keep this in mind when making your choice. Porcelain is denser, more water-resistant, and more durable than ceramic. Ceramic is less expensive and easier to cut than porcelain. Ceramic and porcelain tiles typically cost less than stone, but prices for higher-end tiles can surpass those of cheaper stone tiles. Tiling a shower wall is a messy job, but it’s within the reach of a do-it-yourselfer with basic skills in laying tile. 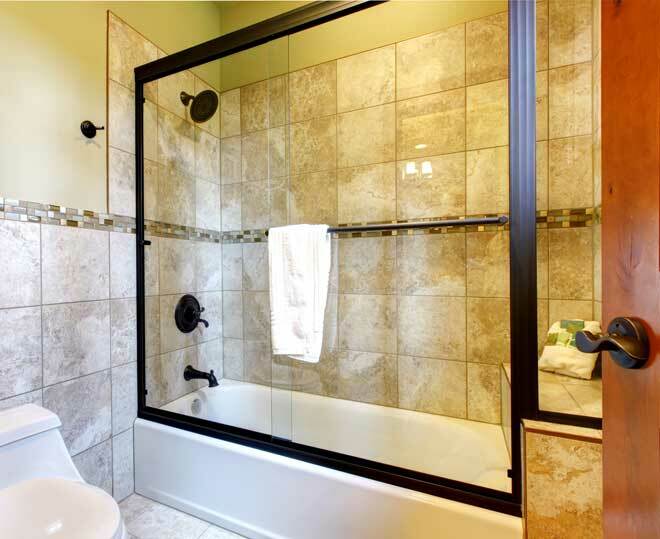 A less common choice for shower walls, glass tiles have a number of advantages. The selection of sizes and colors is just as wide as for ceramic and porcelain tiles. Because glass reflects light, making a space feel larger, it’s perfect for a small shower. It’s also translucent, which lends more depth to the color. Glass tiles are exceptionally easy to clean and all you’ll need is ordinary glass cleaner and a soft cloth. On the other hand, it doesn’t hide soap scum and other buildup well, and any scratches and nicks will be readily visible. It’s also slippery, so it’s not a good choice for a wall that might be grabbed for support. Glass tile costs more than ceramic or porcelain, and it’s a challenge to install, so the job should be left to a professional. 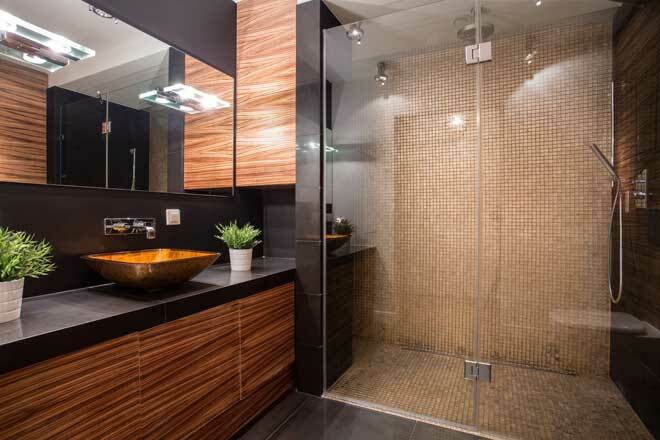 If you like the look of glass tile, but want to keep your expenses down, consider using glass as an accent. Nothing lends a shower a sense of luxury quite like natural stone tile. Depending on the type of stone, these tiles can fit just as well in a contemporary decor scheme as they can in a rustic one. As a product of nature, every section of stone has its own coloring and patterns. Stone shower tiles fit particularly well in a bathroom that already features natural materials, such as stone or brass. These tiles typically have either a matte or glossy finish. Rougher stone adds textural interest to a bathroom with primarily smooth surfaces, while smooth stone tiles create a sleek, modern look. Because natural stone is more porous than ceramic or porcelain tiles, it absorbs water, soap, minerals in the water, and grime more readily. The tiles are sealed to prevent this, but the sealant wears off, so you’ll need to re-seal your stone tiles regularly. Slate, marble, granite, travertine, and onyx are all among your choices, but each type of stone has its pros and cons. Marble looks opulent, but is prone to staining. Slate is durable, but a challenge to install evenly due to its naturally layered structure. Travertine is richly colored and easy to cut, but susceptible to scratching and staining. Stone is the most expensive choice for shower walls, but it’s not always as durable as ceramic and porcelain tiles. The main draw of this material is its aesthetics. Attractive, easy-to-clean wall material can turn your shower into a relaxing escape and add character to your bathroom. If you’re on a budget and looking for a simple, low-cost option, a prefab shower unit will meet your needs. If you prefer something more eye-catching and don’t mind investing a little more time and money, glass, porcelain, and stone are good choices.